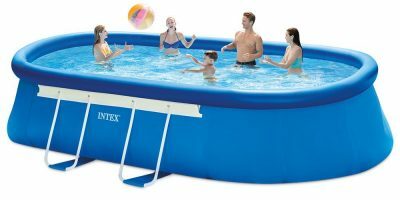 Fun for the whole family or a large group of friends, the Intex Ultra Frame Pool (or the Ultra XTR Frame Pool as the new generation is called) is equipped with all the bells and whistles you need to start the summer off right. In fact, the manufacturer claims that the XTR line is 53% stronger than regular metal frame pools. A lot of people may live in an area with lots of yard space and in these places the popular step is installing an above ground pool. 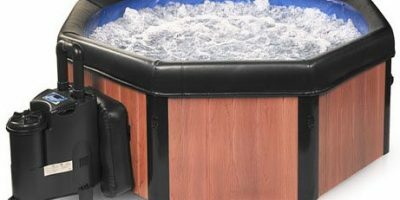 There are many choices for large above ground pools that are made to fit many people at the same time, and when choosing, sturdiness and durability often come into play. 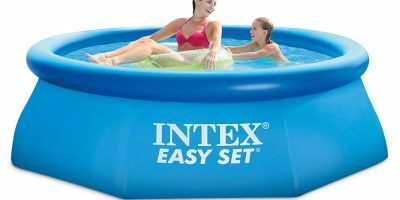 This is the largest pool by Intex with many benefits that make leisurely swimming and playing even more enjoyable. 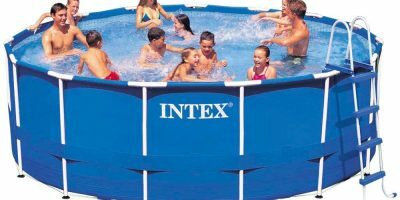 The Intex Ultra XTR Frame pool is engineered for strength, supported by solid and durable steel frames that are powder-coated on both the outside and the inside to prevent rusting. 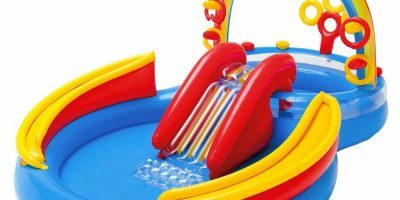 The sidewalls are made of 3-ply puncture-resistant material so you can worry less about tears, rips, and leaks while doing laps or playing games. Assembling the frame is pretty straightforward thanks to the Easy Lock SystemTM that snaps the frame together without the need of any additional tools, but it’s better if you have several people helping you and perhaps a lubricant of some kind to ensure the frames attach smoothly. The manufacturer claims that you can be done with installation in 90 minutes (although some claim it takes longer). When you need to put away the pool, the drain plug connects to your hose so you can lead the water away from the pool and your house. The dual suction outlet fittings improve water circulation and filtration so you can swim safely in cleaner water. 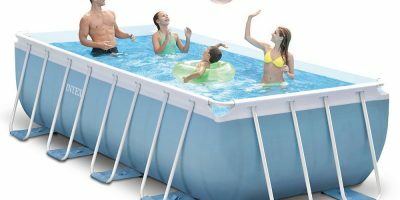 Because this is a large pool set, there’s many additional accessories included such as a removable ladder, a pump and saltwater system combination, a ground cloth, a debris cover, a pool maintenance kit, and a volleyball set. Below you can watch the manufacturer’s video on this newest line of above ground pools: Ultra XTR Frame Pools. The new XTR frame pool line is available in the following sizes: Rectangular – 18ft X 9ft X 52in, 24ft X 12ft X 52in, 32ft X 16ft X 52in (featured in this interview) & Round – 16ft X 48in, 18ft X 52in, 20ft X 48in, 22ft X 52in. Price starts from about $550 up to $1,300 depending on size and shape. A spacious but empty backyard can be filled with a large above ground pool like the Intex Ultra XTR Frame pool. 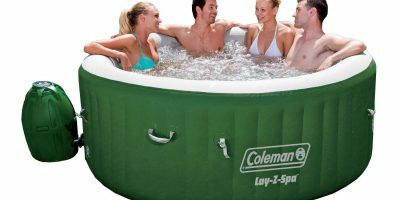 It’s designed to last you years and can hold its own when it comes to exercise or playing, although you’ll need a couple of friends to help you set it up first. 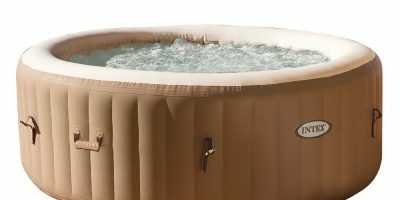 It comes with everything you need to immediately run your pool, not to mention its attractive design makes it a trendy addition to your yard.